Home Unlabelled QUEEN OF PEACE NIGERIA 2018 CONTESTANTS TO RESUME CAMP, AS ORGANISER UNVEILS PROSPECTS. 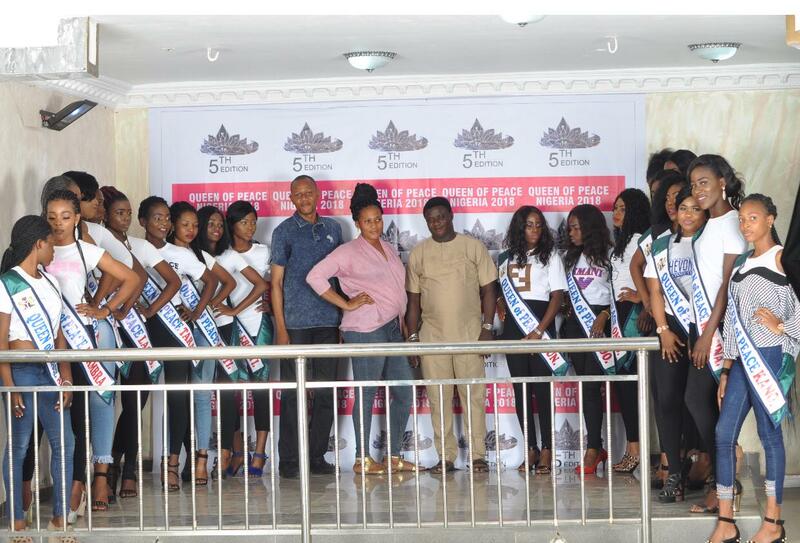 QUEEN OF PEACE NIGERIA 2018 CONTESTANTS TO RESUME CAMP, AS ORGANISER UNVEILS PROSPECTS. 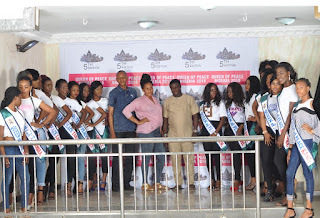 The 5th edition of the historic and glamorous peace pageant in Africa, Queen of Peace Nigeria, has relayed the baton into its newest edition, as it unveils 14th October for contestants to resume in camp, ahead of the 27th October grand finale, which will be held in Lagos state. The organiser of this peace contest is prominent for his significant and innovative ideas in showbiz. As the organiser of the first Beach pageant in Africa, the success-enthusiasts and multi-talented pageant boss, Dr. Suleiman Adejo, told our reporters that the 2018 contest will be exclusively historic, as the emerged winner will represent Nigeria in the Tanzania contest of Queen of peace Africa, coming up in March next year. Dr. Suleiman is one of the few pageant organisers with an outstanding international reception, who is strongly connected in the corridors of distinguished power, in Nigeria and across nations. According to Dr. Suleiman, the 2018 edition of Queen of Peace Nigeria, has been carefully developed to promote peace-related engagements, policies and projects in Nigeria and Africa. He stated that the contest will be well conducted so as represent the true vision of the initiative. The Director of the Initiative for peace, encouraged participating contestants to be of their best behaviour, as the 2018 edition will be hosting international partners and observers from around the world to evaluate the entire conduct of Models.